In this Feb. 25, 2003, file photo, the Von Roll America, Inc. incinerator plant, now called Heritage Thermal Services Incinerator, spews smoke from its smokestack close to nearby homes in East Liverpool, Ohio. East Liverpool could be considered beautiful, sitting along the Ohio River, with a view of the foothills. It’s just north of the West Virginia panhandle, at the Ohio – Pennsylvania border. But it’s faced years of hard times. That 2016 photo of two people passed out in a car from a heroin overdose while a small child looks on from the back seat – that was East Liverpool. 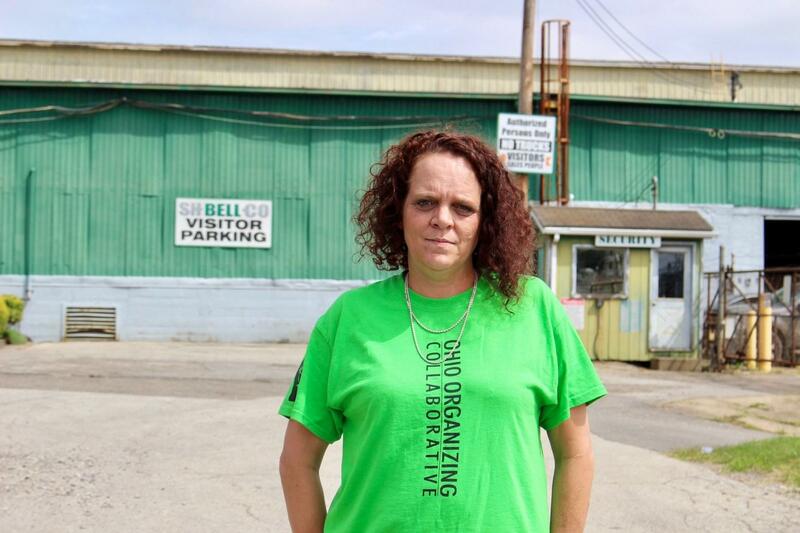 Amanda Kiger has seen the town’s problems up close as a community organizer for the Ohio Organizing Collaborative. “East Liverpool has been ravaged by the drug issues and there is no work,” she said. Kiger points to the unemployment rates in the city, which are higher than the state average, and the percentage of people in poverty and living with disabilities. The city’s history of boom and bust industry, of welcoming polluting businesses because people need the jobs, has become its hallmark. East Liverpool was once considered the pottery capital of the nation. The coal industry that flourished for a period is also on its way out. Amanda Kiger is an activist who’s trying to reduce pollution and keep industry accountable. “Why is ok to say people here don’t matter?” she asks. In recent decades the city is probably best known for its hazardous waste incinerator, one of the world’s largest, formerly called WTI, and now known as Heritage Thermal Services. It sits just a few hundred feet from homes in a low income neighborhood. Everything from medical waste, to nail polish, to waste from government Superfund sites is burned inside. Opposition to the incinerator started even before it was built. In 1992, as the incoming vice president, Al Gore famously promised to prevent the incinerator from opening, saying it was “unbelievable” that a plant that burns hazardous waste would be located in a floodplain like this. A few months after Clinton and Gore were sworn in, the incinerator was permitted to open. More recently, people here remember July 13, 2013, the day the incinerator released nearly 800 pounds of potentially hazardous ash into the air that included arsenic and manganese. “And it covered the whole east end area with ash,” Kiger said. As part of her job, Kiger gathers stories of people experiencing environmental health problems here. “A girl who’s moved away was getting in the car for a doctor’s appointment. She said all of a sudden her son, mother, car – all covered in ash,” Kiger said. 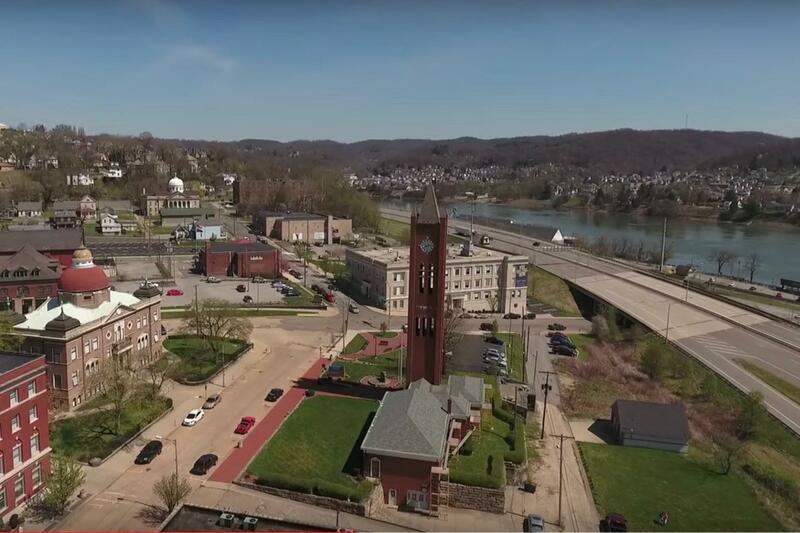 In mid-November, the U.S. Department of Justice and the U.S Environmental Protection Agency held a meeting at East Liverpool city hall about a consent decree the agencies reached with Heritage about that incident. Justice department attorney Elizabeth Loeb told the crowd of about 40 people that Heritage had violated the Clean Air Act. The agencies had come to answer questions, and explain how citizens can make official comments about the agreement. “If we decide to go forward with the settlement, when we ask the court to approve the settlement, we will discuss every comment that was received,” Loeb said. In the proposal, Heritage Thermal President Chris Pherson said they’ve agreed to pay a $600,000 penalty. Just under half of that would go to the federal government. “And we are excited to be able to spend the majority of the money for the penalty — over $300,000 — locally for the community here in East Liverpool for lead abatement projects,” he said. The penalty will be used to fix lead water lines and lead paint in homes within 25 miles of the plant. Pherson said the incinerator is no longer accepting the kind of waste that caused the ash incident. City resident Thomas Redman is not convinced. He told regulators that he’s worried about his three kids. “Since Heritage or WTI, or whatever you want to call them, moved into the East End, I mean there has been a lot more issues with cancer and stuff like that,” Redman testified. Thomas Redman doesn’t trust regulators anymore to protect his 3 kids from air pollution. According to U.S. EPA attorney John Matson, the government has no proof of health effects from the incinerator. The government says Heritage has properly monitored, and has properly self-reported its own permit violations. But Redman is doubtful. While EPA Engineer Linda Rosen encouraged the people at the hearing to call in complaints, she said she’s only received one complaint about the facility. Mitzi Stoddard, a resident in East Liverpool, thinks people are scared to complain because of the 180 jobs at the incinerator. Even though Heritage Incinerator has signed multiple consent decrees with the government after pollution violations through the years, Tom Redman, like many others here, thinks city leaders and regulators are failing them. The plume from the Heritage Thermal Services hazardous waste incinerator in East Liverpool, Ohio taken around April 2016. 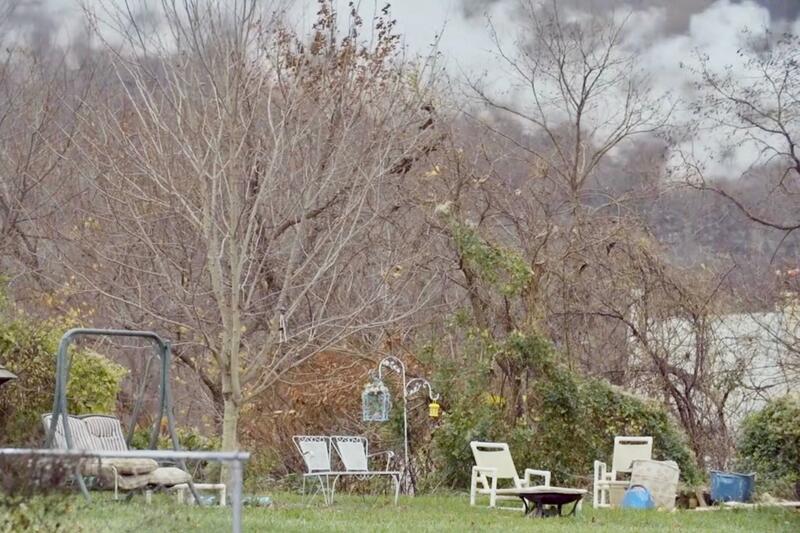 In 2010 the federal Agency for Toxic Substances and Disease Registry found that levels of the heavy metal manganese in the air in East Liverpool were a public health hazard. The finding was based on monitoring by the Ohio EPA at three different sites in East Liverpool from 2000-2009. The monitor at East End Elementary School found elevated levels of airborne manganese. Another air monitor, near a metal processing facility, found levels more than 34 times what would cause health impacts. The Ohio EPA said in the report it couldn’t find a higher amount of airborne manganese in the country. The metal processing facility, owned by Pittsburgh-based S.H. Bell, stores metals like manganese to be processed into things like batteries and stainless steel by other companies. The dust coming from S.H. Bell’s facility has been implicated as one source of manganese in East Liverpool. On the sides of houses that face the facility, you can see a brown staining. Kiger says it’s manganese. Our bodies need manganese for bone health, for metabolizing fat and carbohydrates. It’s found in healthy foods, like leafy greens and nuts. Air-borne manganese has a different impact on the body, according to Erin Haynes, an environmental epidemiologist at the University of Cincinnati. She says breathing it in can be a toxic. “Through the nose, through the lungs, through the respiratory system…manganese particles can travel through the olfactory nerve, and enter directly into the brain,” Dr. Haynes said. Manganese has been known to cause tremors and loss of coordination and balance in people. It also affects memory and the brain’s ability to function. A couple of years after the state found the high manganese levels in East Liverpool, the city school district starting noticing high rates of students qualifying for special educations services: 19 percent in East Liverpool, compared with 13 percent statewide. That led to Erin Haynes and her team started testing kids in the area, to see if there was a connection with the airborne manganese. They tested 100 children between the ages of 7 and 9 for levels of manganese in their bodies, and for their IQ score. They found a connection. For families going through this testing, there’s a lot of anticipation, worry and fear. Ailene Hurduck works full-time and runs a small family farm with cows, pigs and chickens. 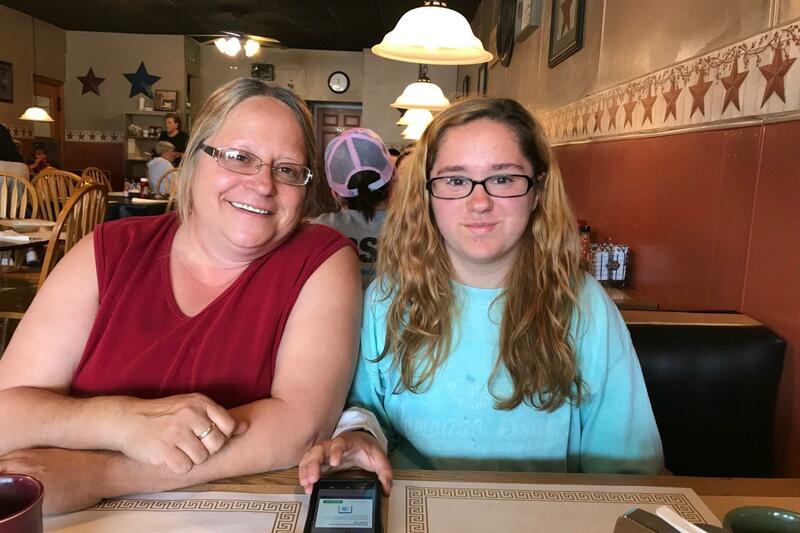 When she heard about the manganese study, she wanted her daughter, Jessica, tested. A few years ago, Jessica went through a round of testing to see how much manganese is in her body and determine her IQ. They cut pieces of her hair, took a blood sample, clipped her toe nails, and then they wanted her saliva. Jessica didn’t think the test was too bad, plus she got $50 that the researchers paid participants. Her family waited a few months, and then an envelope came with the results. Amanda had elevated levels of manganese in her body, but they haven’t seen evidence of any learning disability. “It didn’t affect her. She’s in the honor society, and she’s getting As. Her plans are to be a vet, so that’s going to be 8+ years of schooling,” said Hurduck. Despite findings of elevated manganese, Ailene Hurduck says her daughter, Jessica, is an honor student. This past summer, the researchers did another round of testing with the same kids who were tested a few years ago. Now they are teenagers. Jessica took part in that one, too. The results haven’t been publicly released. Traci Lamm is raising her children in the neighborhood that’s sandwiched between S.H. Bell and the Heritage Thermal waste incinerator. She’s had health problems, and her husband is unemployed. Lamm grew up around East Liverpool and says she’s always been aware of the pollution around her. Her kids were part of the manganese study. When she first opened the results she says she was terrified. Since the first round of testing results were made public, there’s been a lot of disappointment in how government authorities have reacted. “We thought when that came through, we we were like, ‘Yes, we got that proof, they’re going to do something,” community activist Amanda Kiger said. She says local, state and federal officials all saw the study results. 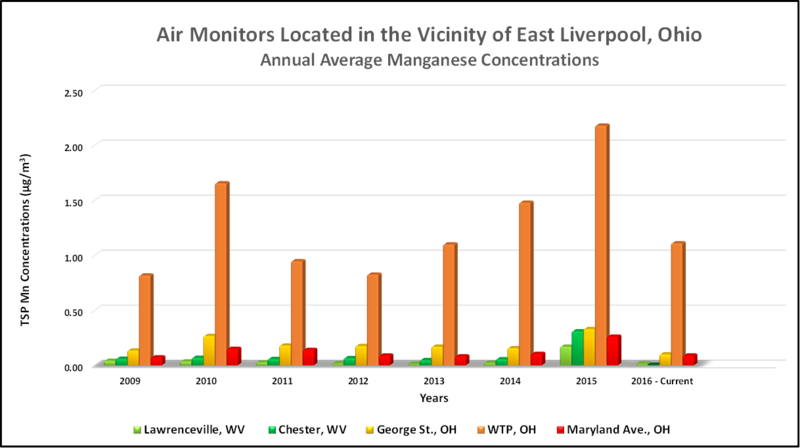 This table shows the summary of the manganese data collected at the air monitors in the vicinity of East Liverpool. The orange bar indicates the Water Treatment Plant (WTP) near the S.H. Bell facility. TSP means total suspended particles of manganese, made up of respirable particles (small particles that can pass deep into the lung) and non-respirable particles (larger particles intercepted in upper airways before passing deep into the lung). In early 2018, the U.S. EPA did take action to get S.H. Bell to reduce the amount of manganese in the air. The federal government and S.H. Bell signed a consent decree. In an email to The Allegheny Front, the company denied wrongdoing, and said it was already doing what it agreed to in the EPA settlement. East Liverpool Mayor Ryan Stovall, though, was pleased that U.S. EPA did step in and hold S.H. Bell accountable. But, he says, you can’t drive out industries just because of pollution. 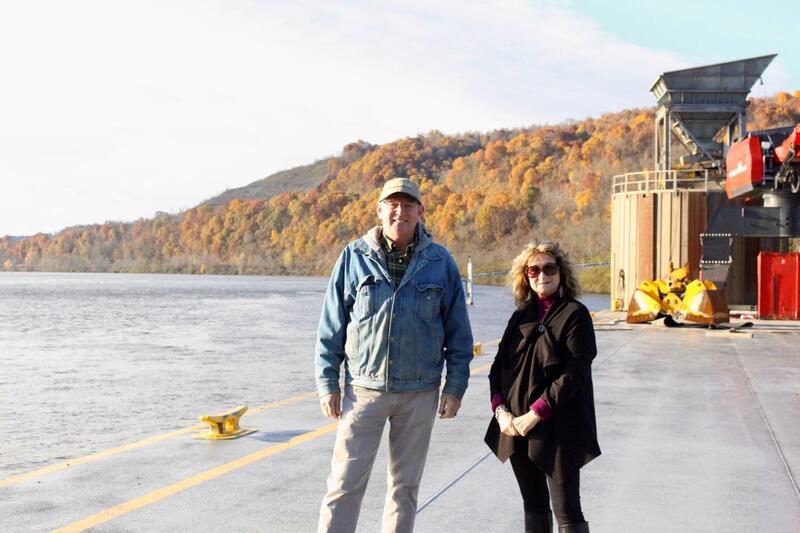 “This thing is, when you get to small river towns like East Liverpool every job is important, you can’t pick and choose a lot of times,” he said. Many people in the town are hoping that East Liverpool is actually on an economic upswing and new jobs in the petrochemical industry will be coming. Others fear more pollution. East Liverpool sits between where two new industrial plants are in the works. Shell Chemical is building its $6 billion dollar ethane cracker about 16 miles upriver in Pennsylvania. And now, a second cracker is proposed for southeastern Ohio. Many hope the cracker plants will bring renewed life to this struggling industrial area. Larry Heck is excited about all the new business he sees coming to southern Columbiana County. Heck runs Pier 48, which imports commodities on barges sent from the Gulf Coast, up the Mississippi, and to the Ohio River, a few miles from East Liverpool. A huge overhead crane moves heavy cargo off river barges loaded with commodities like soybeans from China. Today, it’s moving huge coils of steel that weigh more 25 tons each that will be trucked to a local steel mill in Youngstown, Ohio. Heck says most of that steel will be used for natural gas pipelines. Imports, like the mineral barite used in natural gas drilling, are on the rise he says. Heck says he’s hired eight people in recent years — growth that’s fueled by the natural gas industry. The gas wells here will also feed the new ethane crackers in the region that will produce plastic pellets. Penny Traina says that’s going to be the game changer. Traina is CEO of the Columbiana County Port Authority, which has invested $14 million dollars in Pier 48. She says once the cracker plant is up and running, there will be offshoots of different plastics industries, all up and down the Ohio River. Location, Traina says, is everything. “We’re on the river, and we’re geographically blessed to be between those two proposed cracker plants,” she said. Traina expects that will bring even more spin-off industries as a result. She says it’s the biggest growth industry since the steel mills. “I don’t think that we have seen an uptick of economic development like this since the 70s,” she said. Larry Heck and Penny Traina believe the new industry will be a game changer for the region. Richard Wolf, 86, has heard this story before. 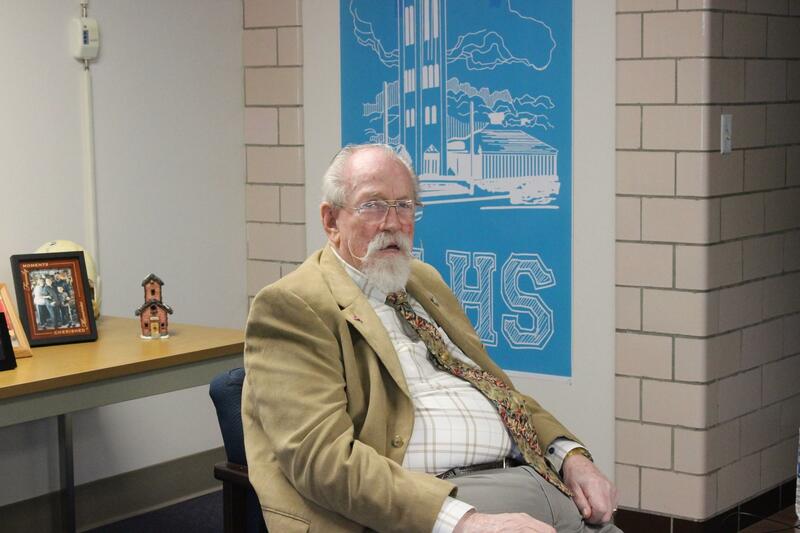 He’s been a member of the East Liverpool school board for decades, and has been an activist against the hazardous waste incinerator. “We were told that this facility would be the catalyst for economic growth. And none of that ever happened,” Wolf said. Columbiana County has lost 4.4 percent of its population in just the past eight years. Both of Penny Traina’s children moved away for careers elsewhere. 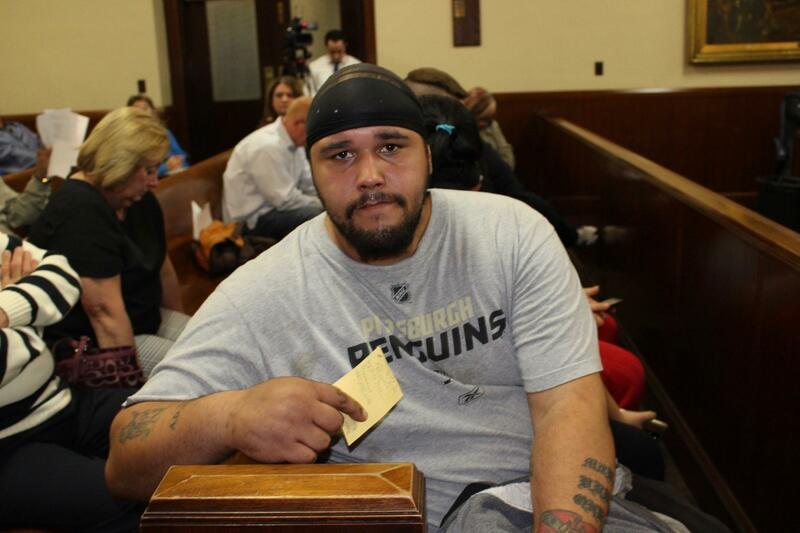 Richard Wolf says of his eight children, six had to leave to find jobs in their fields. But he says his sister left after that toxic ash release from the waste incinerator five years ago saturated her neighborhood. “We don’t know how many people have fled because of fear of what might be in the way of a toxic atmosphere, a polluted environment,” Wolf said. Wolf laments that the community hasn’t protected children from the effects of pollution like manganese and he worries that the new ethane crackers, and the plastics production, will create more of the same. Richard Wolf has been on the East Liverpool school board for decades, and has been outspoken about the incinerator in his community. On November 28, the Ohio EPA held another public meeting in a high school auditorium in Shadyside, a town in southeastern Ohio where that second cracker plant has been proposed. An Asian company, PTT-GCA, wants to build a $10 billion dollar ethane cracker, promising 6,000 initial construction jobs, and 500 permanent ones. About a hundred citizens showed up, many to officially comment on Ohio’s draft air permit for the plant. The state estimates the plant would emit nearly 2 million tons of greenhouse gases a year, as well as 38 tons of hazardous air pollutants and hundreds of tons of volatile organic compounds, particulate matter and other pollutants. Ohio EPA spokesperson Heidi Griesmer says the cracker won’t be allowed to push the region’s air quality below federal standards. “Our mission is to protect all Ohioans, no matter where they live and to ensure that there is good air quality for all Ohioans,” Griesmer said. But for East Liverpool residents like Amanda Kiger, who’ve listened to regulators discuss the latest air violations at the hazardous waste incinerator; for the parents waiting for the next round of results to find out how manganese is impacting their children’s ability to learn; and for those who’ve watched the boom and bust of polluting industries, they say it’s hard for them to believe the community’s health is getting much consideration compared with the excitement about jobs and economic growth from the gas industry. East Liverpool, like much of the Ohio Valley, is anxiously awaiting the coming chemical boom, for better or worse. Teenagers are using marijuana more than cigarettes, and they try it before their first tipple, according to recent studies. Starting Jan. 1, glass and some plastics will no longer be accepted in recycling bins in 22 South Hills communities, including Moon Township, Mt. Lebanon and Upper St. Clair. This is because a new Waste Management contract will go into effect, and the company is trying to move away from recycling glass. Erica Deyarmin-Young, a public affairs coordinator with Waste Management, said processing glass is time consuming and expensive for the company. 90.5 WESA's Mick Stinelli reports Century III Mall was once full of shoppers. Now, it's mostly empty storefronts. It's empty, cavernous and quiet. A pristine shopping center just 30 years ago, the Century III Mall in West Mifflin now lists just 14 stores on its website. But among its vast swath of empty storefronts is also a thriving comics store. In a recent ruling, the Pennsylvania Supreme Court said that employers are legally responsible for protecting workers’ sensitive information, and that companies who don’t safeguard personnel data can now be found negligent and become subject to financial losses.